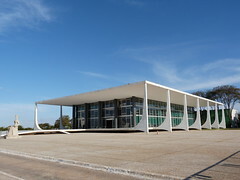 The Supremo Tribunal Federal (Supreme Court) is one of the powers that flank the Praça dos Três Poderes (Square of Three Powers) in Brasilia. 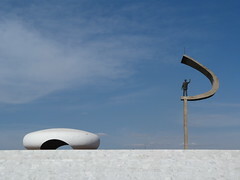 Designed by Oscar Niemeyer in 1958 is it one of the fabulous Modernist buildings that make Brasilia such an interesting city. 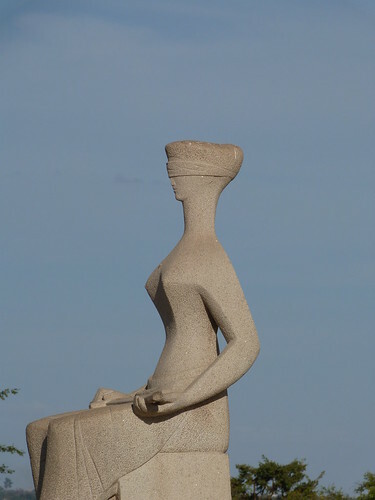 The statue, a Justiça (Justice), in front of the court dates from 1961 and was sculpted by Alfredo Ceschiatti. 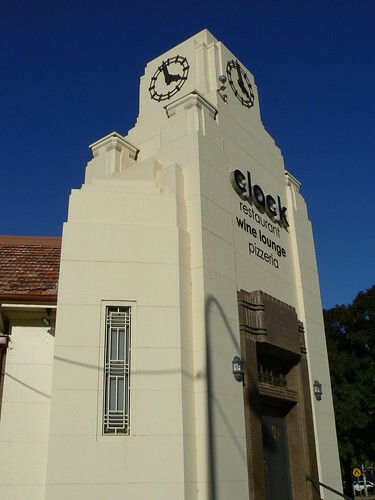 A former bank, now Clock restaurant, in Griffith. 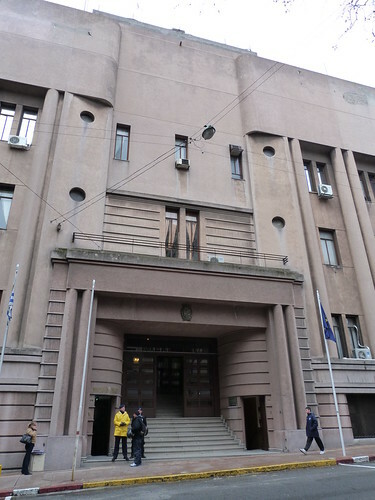 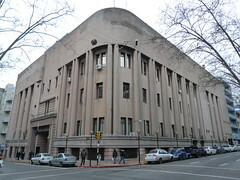 This massive building belongs to the Police force in Montevideo. 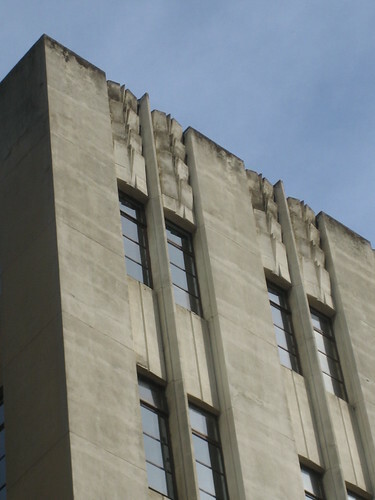 Huge columns and that wide expanse of concrete around the roofline. 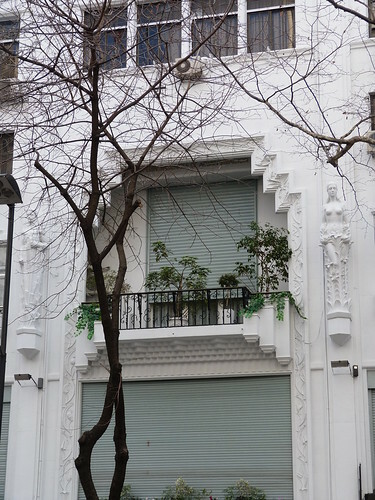 Everything about this building is so enormous, except the windows. 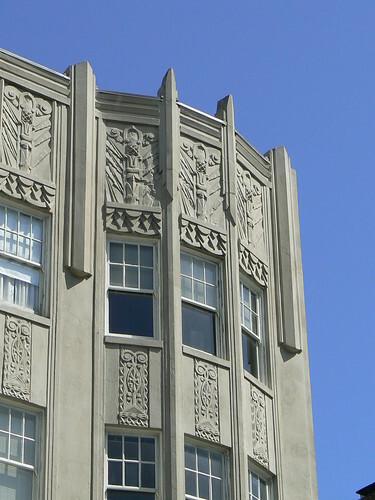 There are several small porthole windows above the doorways and the regular rectangular windows are very small in contrast to the overall bulk of the building. 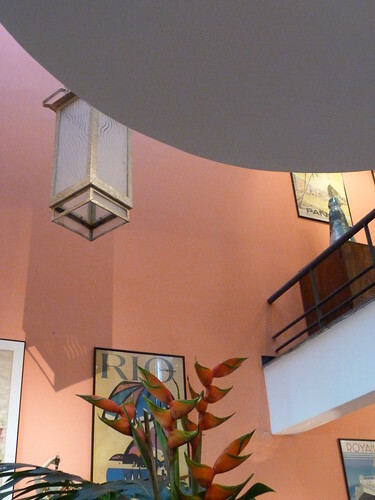 And then you notice something delicate and beautiful with no definite purpose. 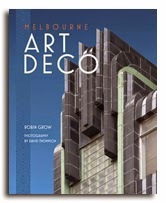 Decoration, pure and simply, as decoration. 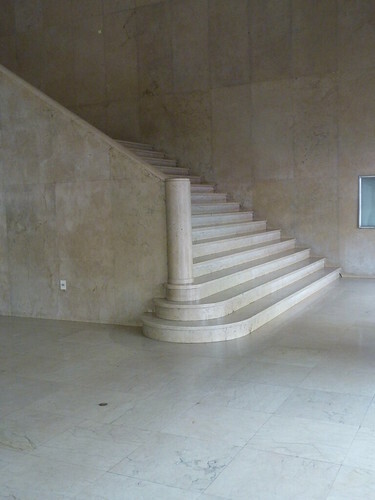 Two lines, liked piped icing, tracing the line of the steps leading to the main entrance. 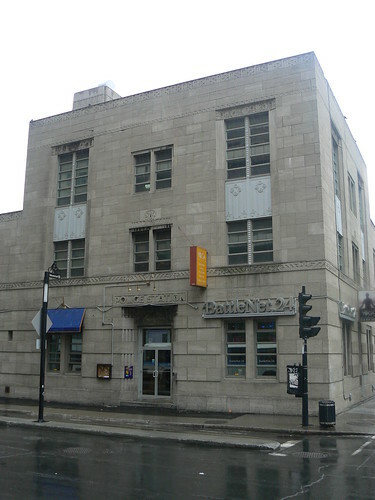 I was interested to learn of the practice in Montreal, and perhaps elsewhere in Canada, of combining police stations and fire stations in a single building. 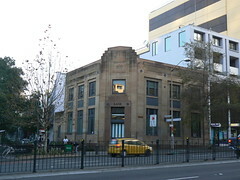 This is former Police and Firs Station No 10, now just Fire Station No 25. 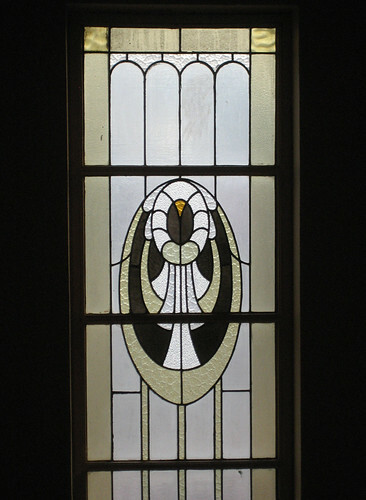 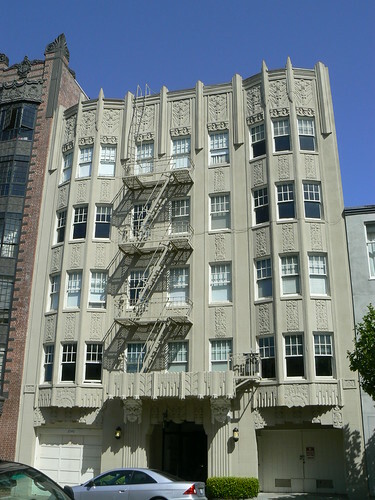 It was designed by Harold Edgar Shorey and Samuel Douglas Richie. 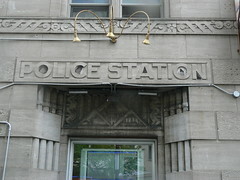 The doors to the separate police & fire sections of the building are marked with simple block letters. 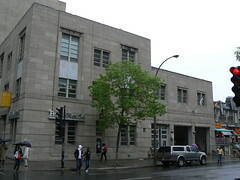 Police on one side of the building with the bays for the fire engines around the corner. 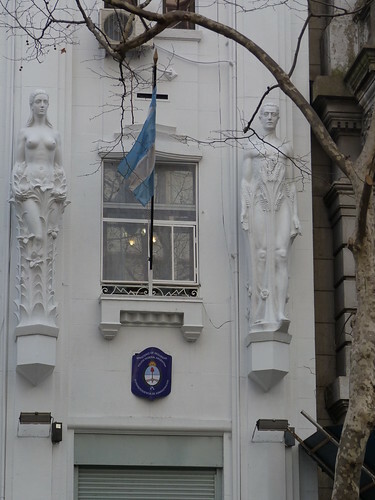 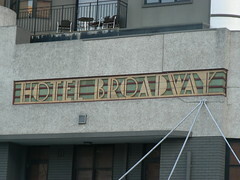 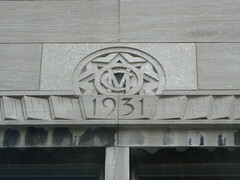 A frieze above the Police Station door depicts city buildings in one section and shipping activity it two others. 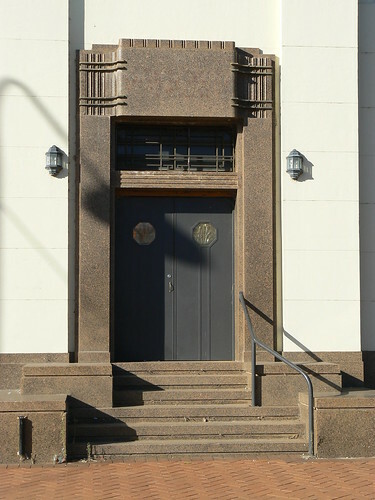 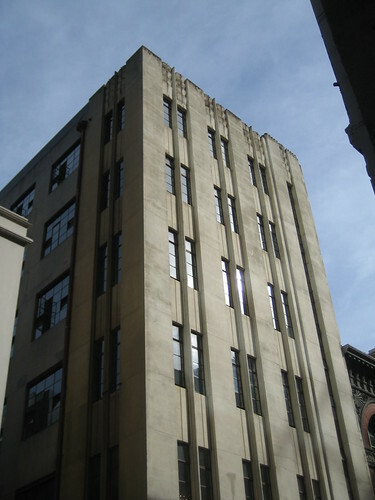 The building was constructed in 1931 and won first prize in the public building category from the Royal Architectural Institute of Canada the same year. 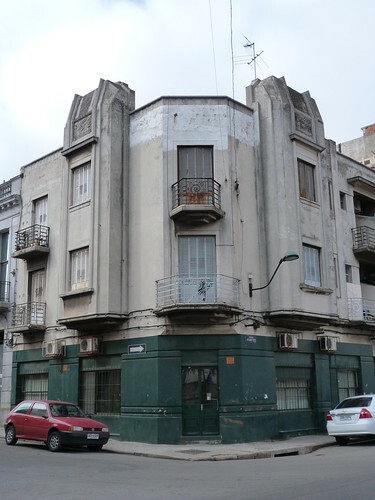 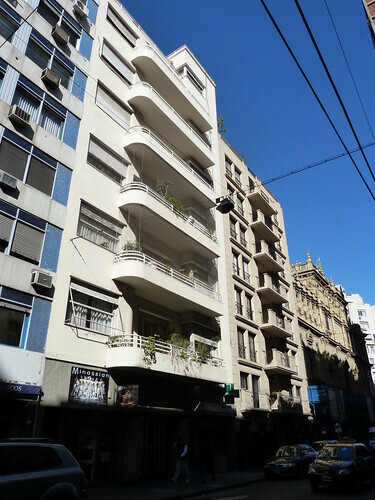 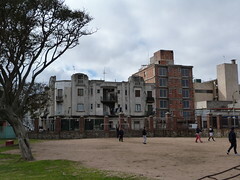 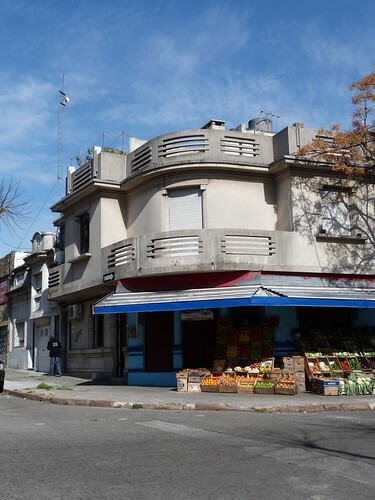 Rafael Ruano designed this former cinema in Montevideo's Avenida 18 de Julio. 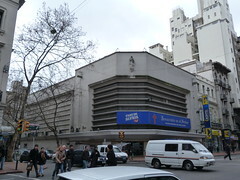 It was known as the Cine Trocadero but now houses the Iglesia Universal del Reino de Dios (Universal Church of the Kingdom of God). 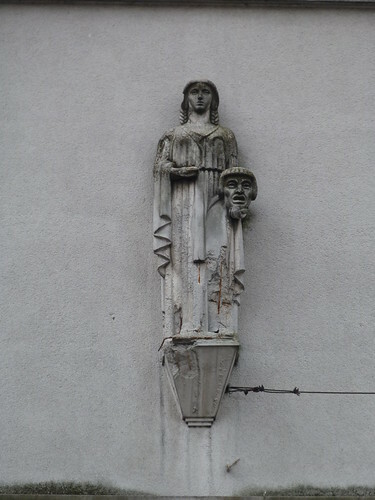 The figure on the façade does seem to have a religious theme but closer examination proves her to to be purely theatrical. 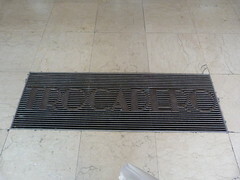 Inside, the foyer is quite sparse but does have a very stylish staircase off to one side and just inside the front doors, a vent on the floor bears the Trocadero name. 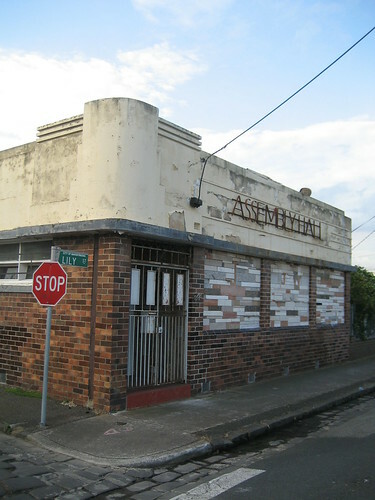 No doubt there is quite a history to this little deco Assembly Hall in the back streets of Footscray. 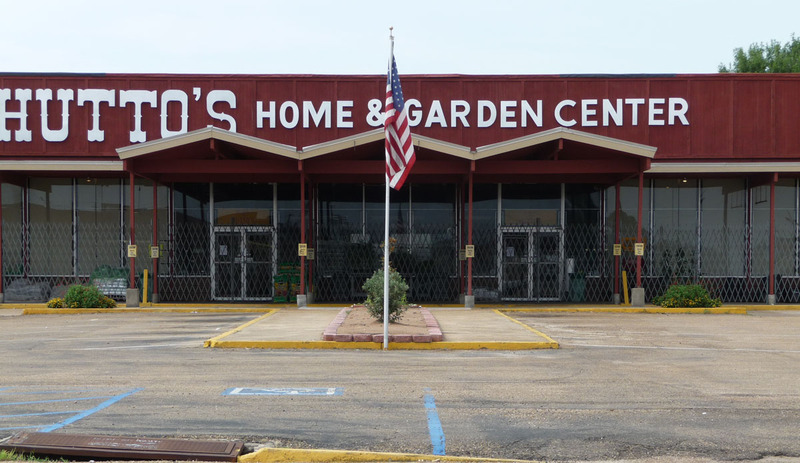 Who assembled here? 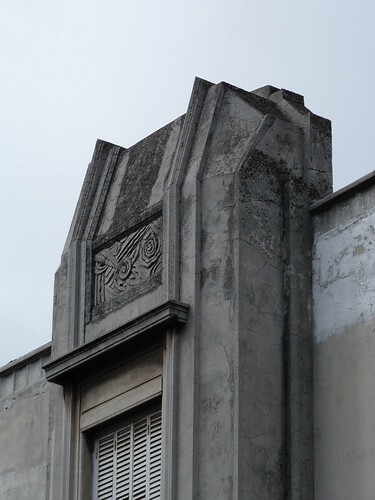 Who uses it now and why have the windows been bricked up with such unsympathetic bricks? 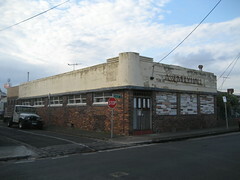 I first glimpsed this building several years ago from Footscray Road, just before it takes a dog-leg and ducks under the Geelong Road overpass. 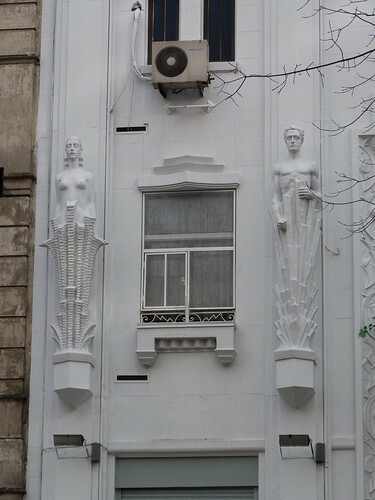 Since then I have always looked for it when passing but never ventured down for a closer look and to take a few photos ... until now. 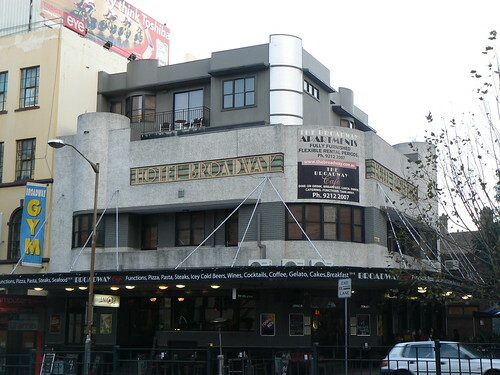 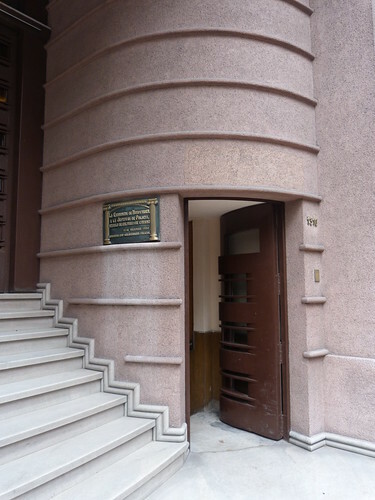 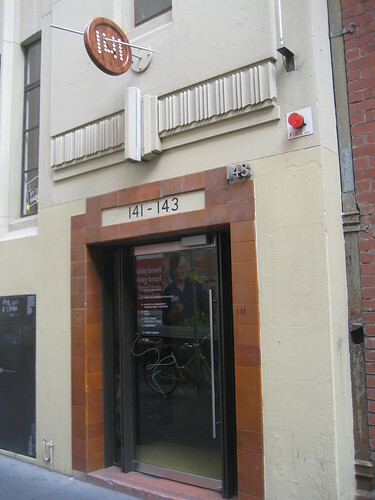 An Art Deco building at 141-143 Flinders Lane in Melbourne adapted for a variety of uses including a gallery and a restaurant. 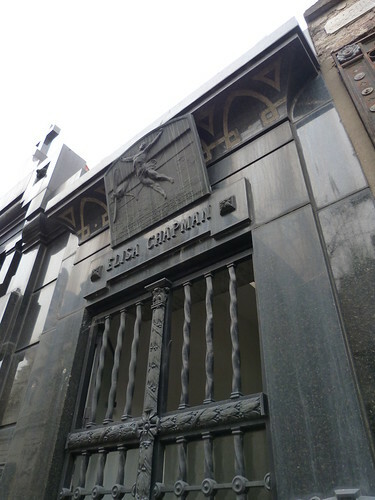 I presume that this tomb in Recoleta Cemetery in Buenos Aires was originally built for Elisa Chapman since her name appears so promenently above the door. 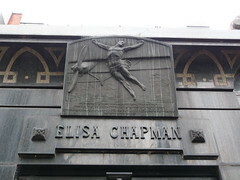 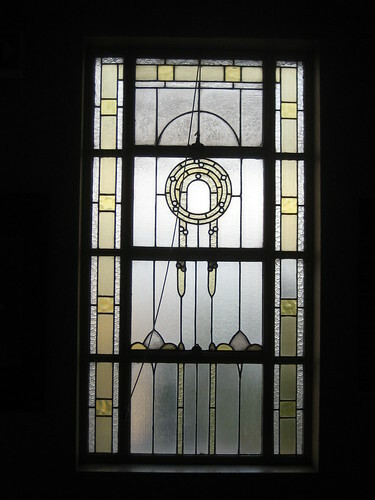 The Art Deco plaque above Elisa's name, however, relates to Lieutenant Jorge Chapman who was associated with the Military Aviation School but unfortunately died in a plane crash fulfilling his duties on 19 March 1925. 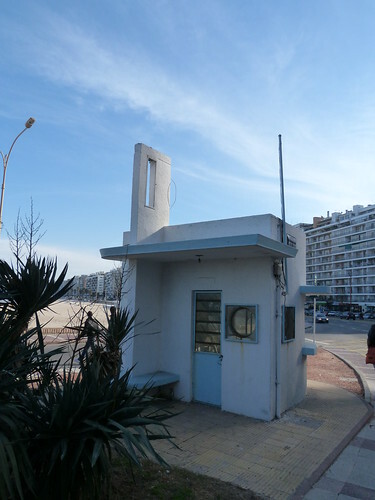 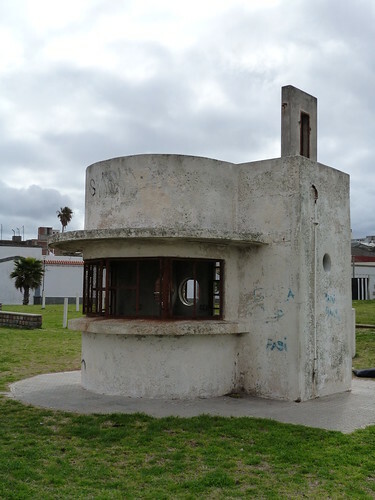 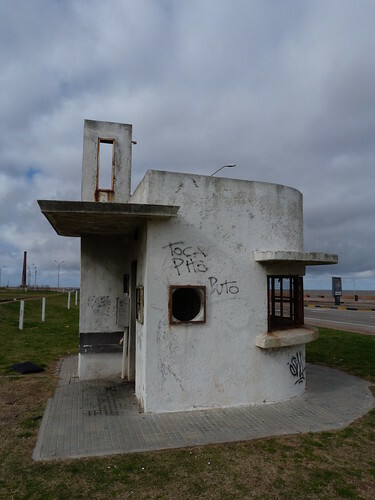 The seafront and beaches of Montevideo have several of these Police kiosks. 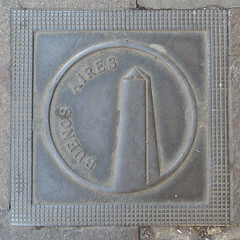 This one is in Pocitos while the one below, obviously no longer used by the Police, is in the Ciudad Vieja (Old City). 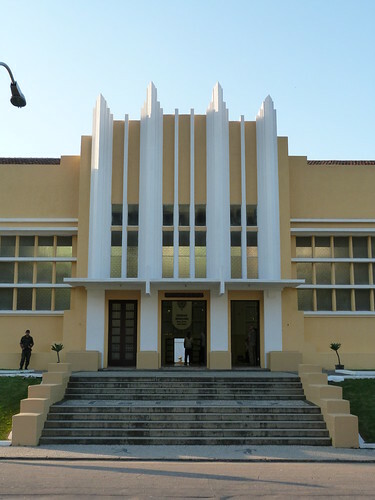 Forte São João (St John Fort) sits in the shadow Pão de Açúcar (Sugarloaf) in the Rio de Janeiro suburb of Urca. 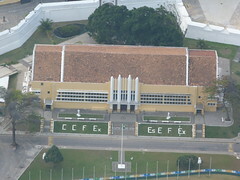 That's where you'll find the Army's Escola de Educação Física do Exército (Physical Education School) with it's central entrance marked by a series of four white stepped fins. 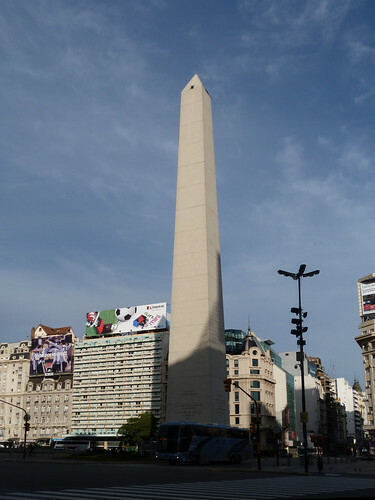 The large obelisk at the intersection of Avenida Corrientes & Avenida 9 de Julio is in many ways the symbol of Buenos Aires. 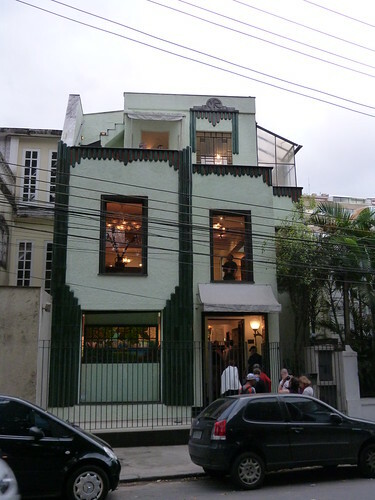 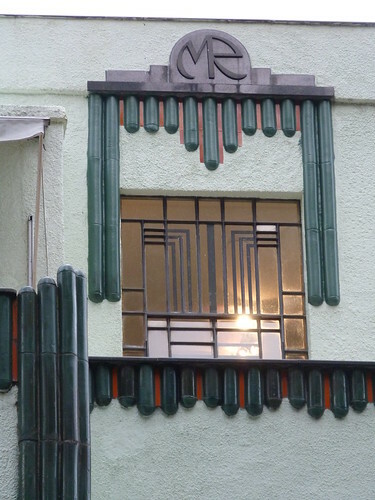 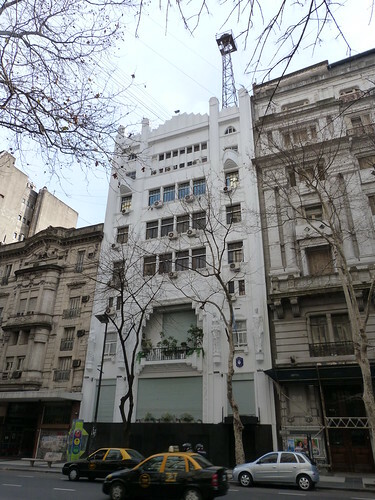 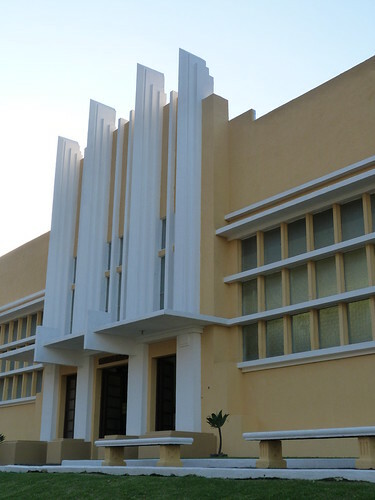 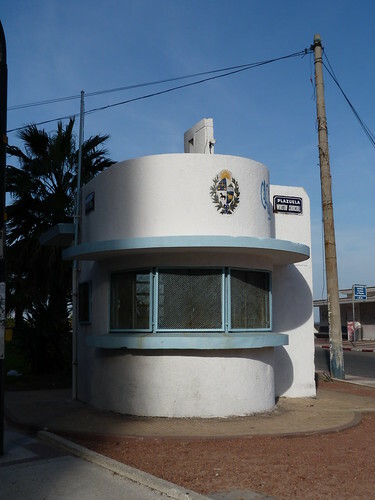 It was designed by architect Alberto Prebisch and constructed in quicktime between March 20 and May 23 1936. 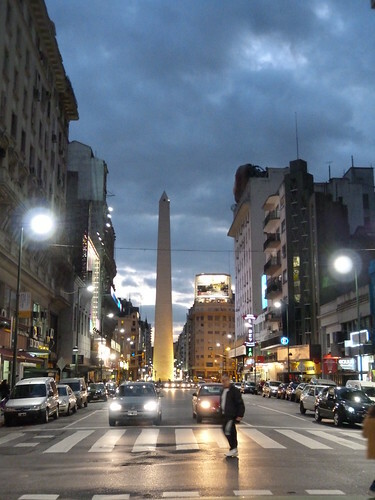 It was built to commemorate the 400th anniversary of the foundation of Buenos Aires using concrete and Olaen white stone from Córdoba.